Garlic is (and please forgive me for this throwback) the bomb diggidy! My boyfriend & I were invited to dinner last night at a friend's house & asked if we could bring a side. I had to think of something quick that pairs well with pasta. What goes best with yummy pasta? More carbs!! 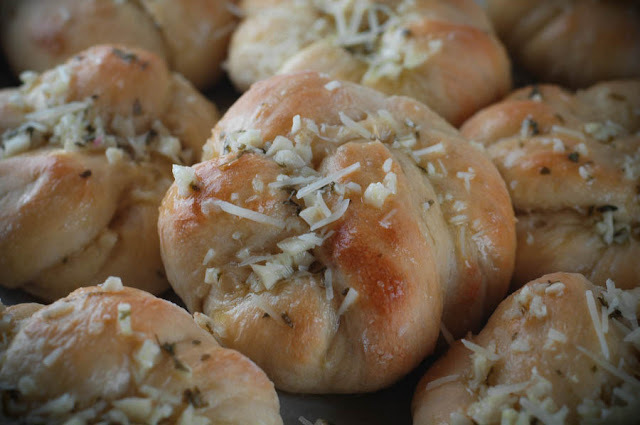 I decided to bake some garlic parmesan knots. Lucky for me, I had just enough time to mix the ingredients, let the dough rise & bake, then make our way to dinner. They were well received by all dinner guests & my boyfriend may have lost count as to how many he ate. It was a fun night! I used my go-to quick pizza crust recipe for these knots. After letting the dough rise & rest for a minute, it's time to roll it out and cut. Love the smell of fresh baked bread! But not as much as I love the smell of garlic butter! Heat oven to 400 degrees. In a large bowl, dissolve the yeast & brown sugar in the water. Let it sit for a bout 10 minutes. Mix in the salt, oil, and flour. 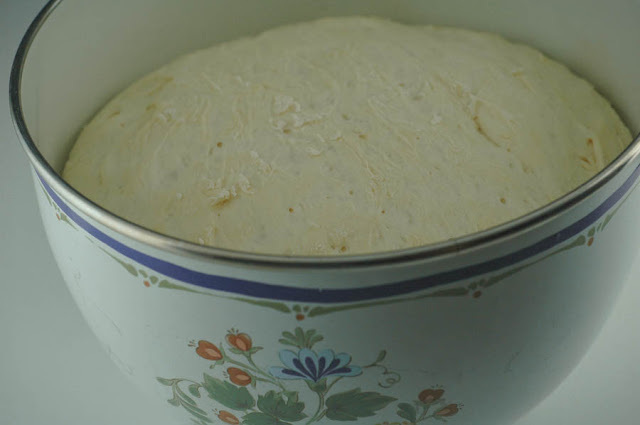 Turn the dough out onto a well floured surface & knead in more flour until the dough is no longer sticky. Place the dough in a well oiled bowl & cover with a cloth. 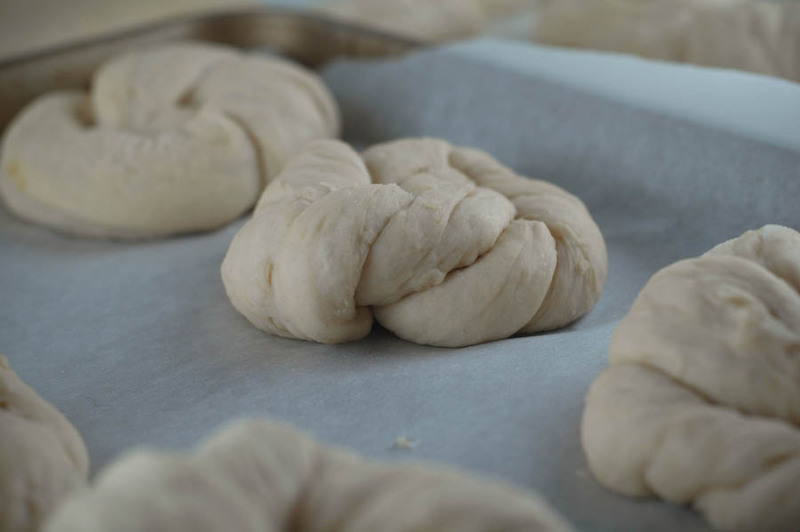 Let the dough rise until double, at least 1 hour. 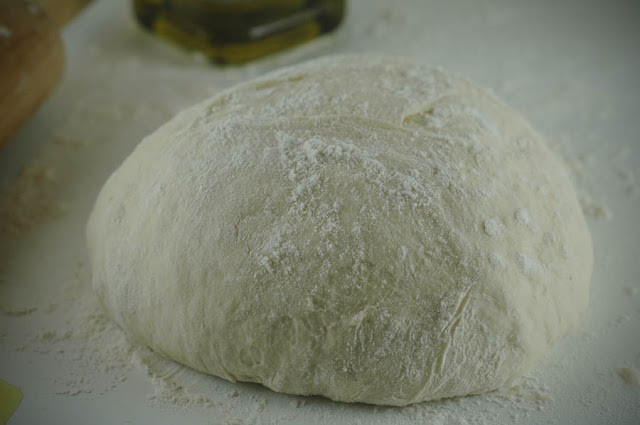 Turn the dough out onto a well floured or oiled cutting board. Punch dough down & form a tight ball. 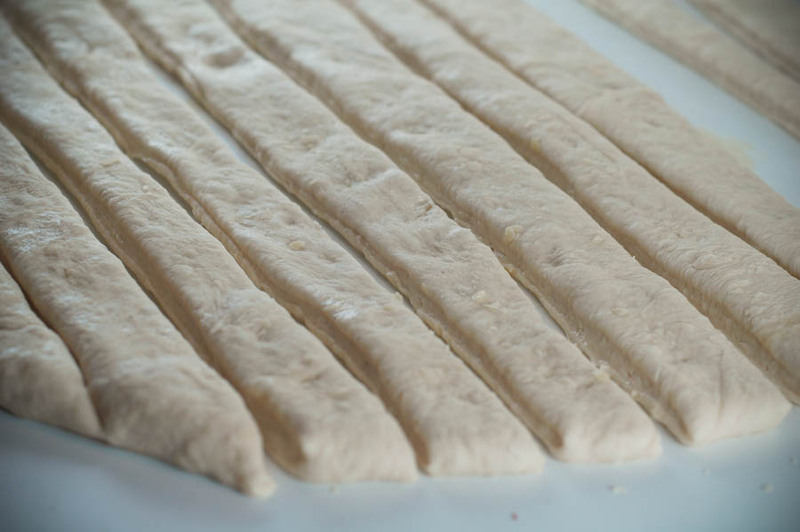 allow the dough to relax for a minute before rolling out & cutting your strips. I cut my dough into 10 strips around 12 inches long. Take the ends, cross them & take one end and toss it over & under to form a knot. 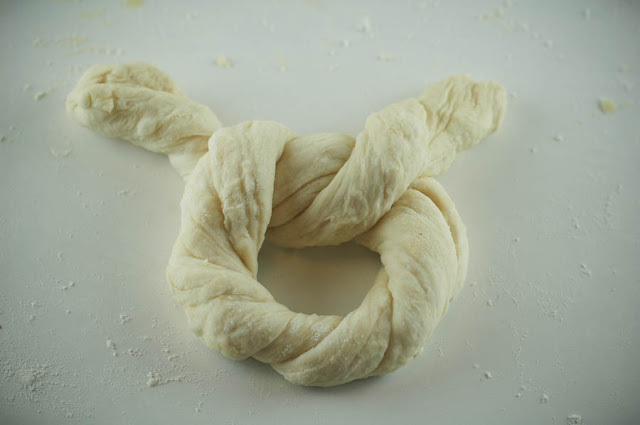 From the picture above, take the end on the right and tuck him under and then through the knot hole. 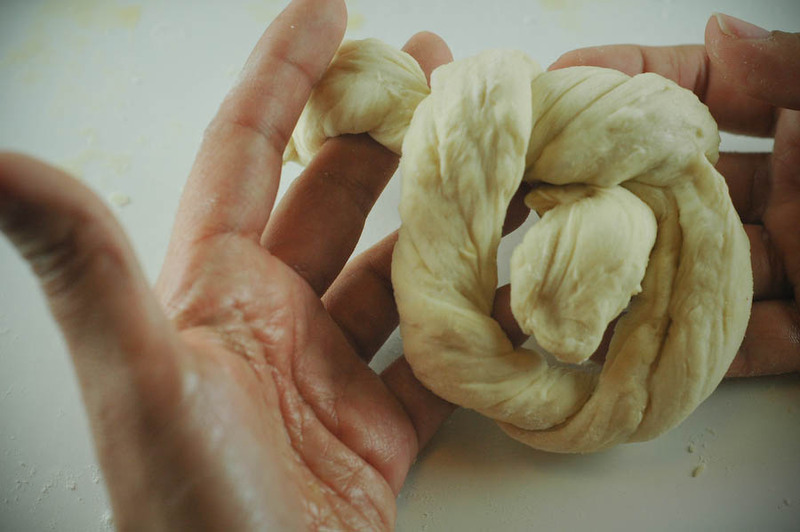 Get the end on the left and connect with the other end in the center of the bun. 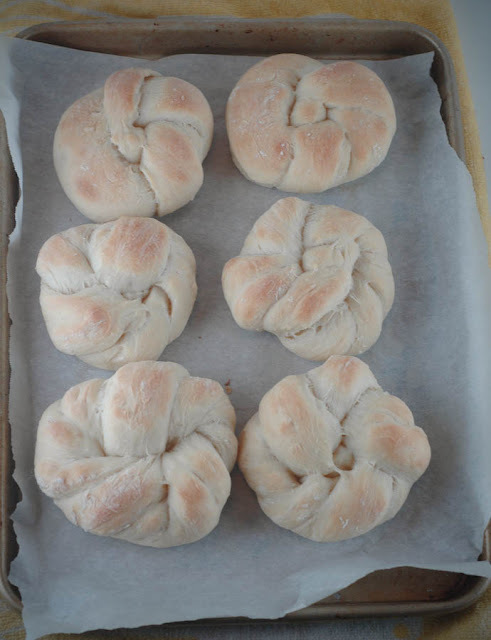 Place the knots on parchment covered pan and bake for about 12-15 minutes, until golden brown tops. 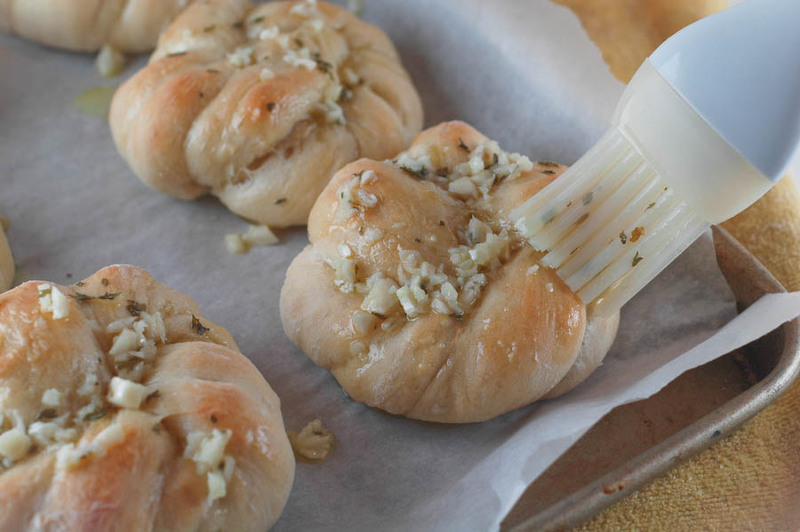 While the bread is baking start making your garlic butter. Combine Oil, butter, garlic, parsley, & salt in a small sauce pan. When the bread is ready & still hot, brush the garlic butter on top. Sprinkle with parmesan.